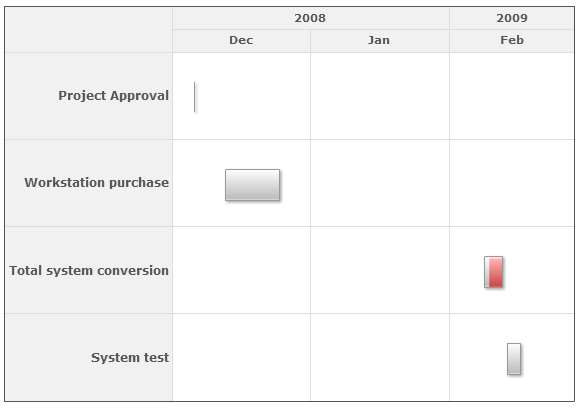 This example shows how to create a report showing the Gantt chart. 1. 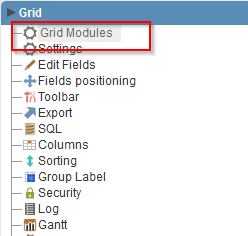 Create a new grid application based on the following SQL. 2. 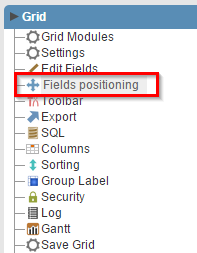 Access the item “Fields Positioning”. 4. 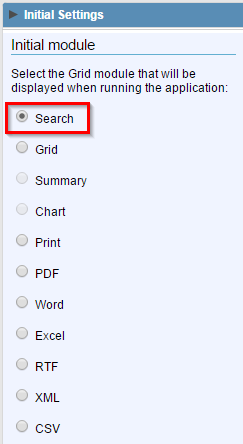 Return to the item “Modules Grid” and check the “Search” as the initial module. 5. 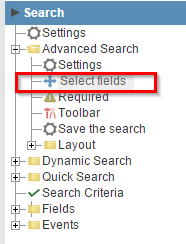 In the Search tab to access the “Advanced filters >> Select fields”. 6. 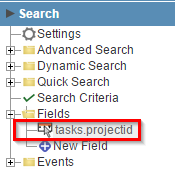 Select the field tasks.projectid. 7. Still in the Search tab, visit the edition of tasks.projectid field. 8. 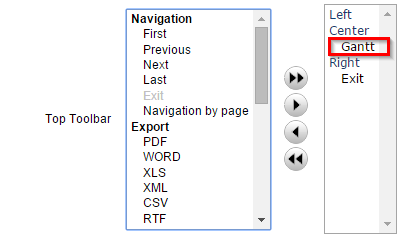 Change the field type to “Select” and use the following code in SQL Lookup. 9. 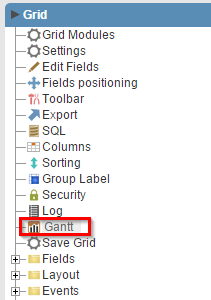 Visit the option “Gantt” in the application menu. 10. Set the properties according to the image below. 11. 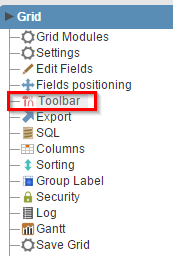 Access the settings of the “Toolbar”. 12. 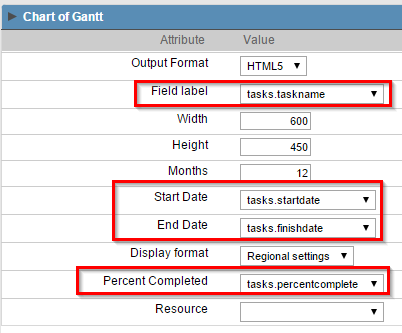 Select to display the Gantt chart button.